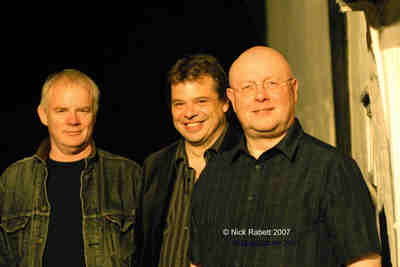 Threeway is the brainchild of Huddersfield bassist Ben Crosland who formed this exemplary jazz trio in 2004 with long term associates Steve Lodder piano and Steve Waterman trumpet and flugelhorn. The trio explores the subtle and open possibilities of a group without drums. The interplay between the players creates a natural intensity combined with an acute sensitivity to dynamics allowing the musical flair to come shining through.